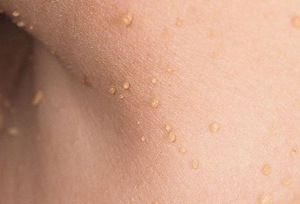 There are several ways to get rid of Skin Tags, a few are listed at disabled-world.com. However, Doctors usually don’t recommend any of these as Skin Tags aren’t seen as serious! While they may not be “That Serious”, We think they should be dealt with! (Click Here to Read Everything You Need To Know About Getting Rid Of Skin Tags). If you have skin tags, or know someone who does, you know how embarrassing they can be and how much people who have them want to be free of them! Yet, most of us don’t like cutting or freezing and we often go on suffering! 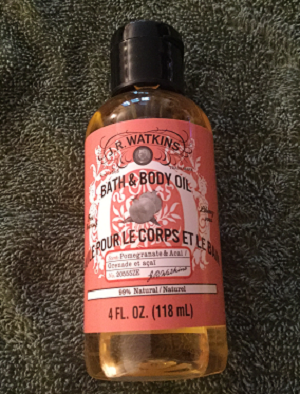 I have one friend who had 28 Skin Tags on her neck, and at the end of October, she began using the oil, by placing a drop on the skin tag daily and using the oil like a massage oil on the skin tags… Within a couple of months, by the end of December, they were gone! Actually I think she may have had two or three left after the first couple of months. However, that means it got rid of nearly 90% in two months! Scientific, maybe not, practical, absolutely! 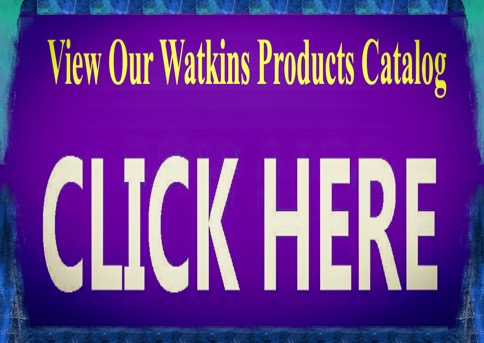 As it, and all Watkins Products are all 100% Satisfaction Guaranteed! Why not try it? If it doesn’t work for you, you get your money back! With Products like these, No Wonder We Need Reps!